Often times it is something simple that makes the boldest statement. This has taken me some time to learn, that a design does not need to be super busy or flashy; just take away everything that is unnecessary and it will shine. 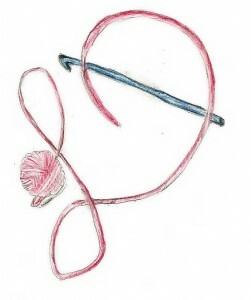 I probably do not always follow this simple statement, but in the case of Destination Shawl, I think it works. 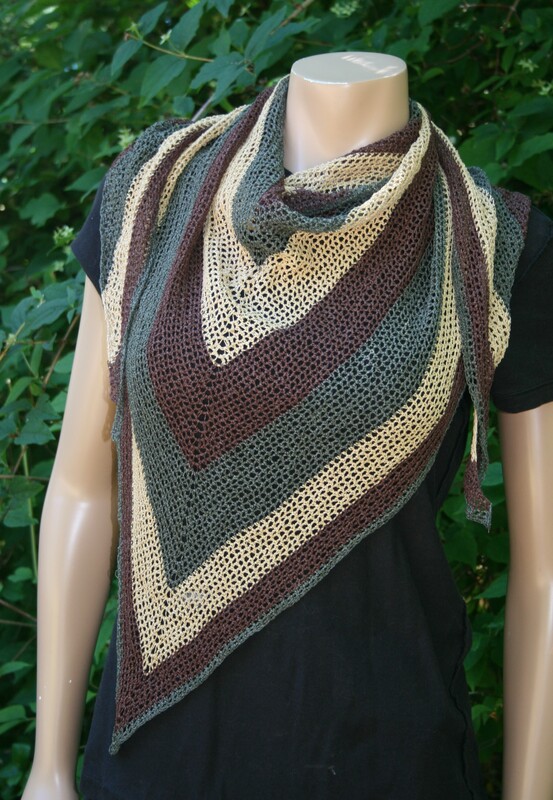 This triangle shawl is worked center neck outward, in a simple stitch pattern, and with simple very fine yarn. 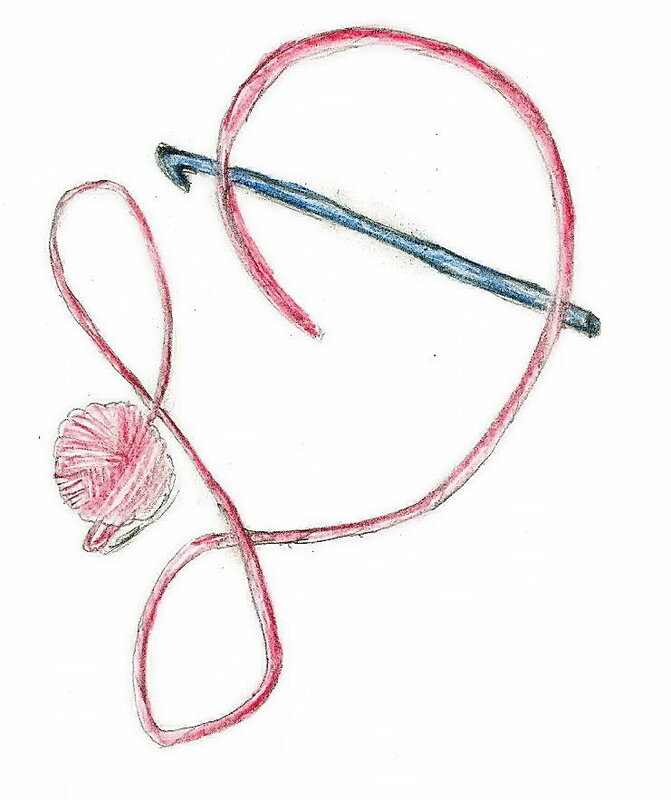 The yarn is Mondofil Japon, a super fine weight 60% Rayon/40% Japanese Paper yarn/thread that is found on a cone. It has an interesting texture a bit like a linen, but gets softer when it gets wet. The Destination Shawl is light and airy, reminding me of a day at the ocean as it only offers a hint of being there yet still offers a statement. The color bands are a bit deceptive as they are actually staggered in width to provide an artistic balance and to draw the eye outward. Destination as it is, is perfect for warm weather, but my simply changing the yarn to a light wool or mohair and this becomes a great cold weather wrap. 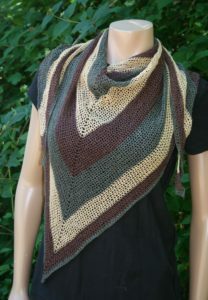 If you have never made a shawl before, or if you are a seasoned veteran at the skill, this shawl will be one you will enjoy. This entry was posted in Patterns/Design Thoughts, website and tagged color, Crochet, dean, Design, Destination, drape, inspiration, Japon, linda, Linda Dean, linda dean crochet, Mondofil, pattern, Ravelry, shawl, simple shawl, stitch, Stitches, thread, Yarn by webmaster. Bookmark the permalink.